Custom GM Sportsman Tool Steel Camshafts from COMP Cams feature core technology widely used in NASCAR, NHRA and other professional race engines for its high strength and profile flexibility. Special ST4 grade tool steel is available only from COMP Cams and 30 percent stronger than SAE 5150 or SAE 8620 options. Due to its higher carbon content, it has been shown to wear less than the S7 tool steel popular industry wide, as well as case-hardened grades up to SAE 9310. ST4 camshafts are also superior to those made from induction-hardened or carburized steel cores. Because they are through-hardened, GM Sportsman Tool Steel Camshafts can handle more aggressive profiles and offer engine builders the opportunity to choose virtually any combination of duration, lift, lobe separation and advance. 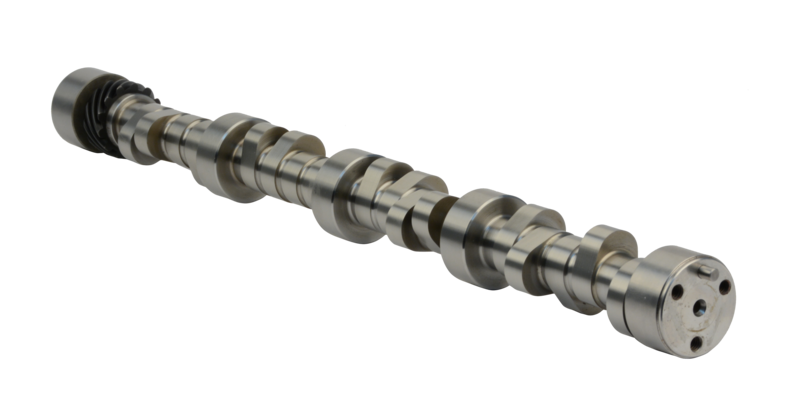 The camshafts can also be reground multiple times for fine tuning or annual refreshes without material degradation. For help with customizing the right tool steel cam, available for GM applications including SBC, BBC, LS, LT1 and more, call the CAM HELP® line at 800-999-0853.